The Europe Connected Car Market would witness market growth of 30% CAGR during the forecast period (2017 – 2023). The Europe Connected Car Market would witness market growth of 30% CAGR during the forecast period (2017 – 2023). The technological advancements adopted by the automakers enable the customers to remotely connect to their cars. Incorporating connectivity solutions can dynamically upgrade the functionality of cars. With the help of the connectivity solutions, the customers gain access over the vehicle, which relays timely information on the performance of the car. In addition to the companies operating in the connected car market, the original equipment manufacturers also contribute in the expansion of the market. The car manufacturers use the products and services provided by the OEM’s, including sensors, processors, fleet managers, wireless, cellular models, OEM services and aftermarket services. Based on Product & Services, the Connected Car market segments the market into Fleet Manager, Sensors, Processors, Wireless & Cellular Modules, OEM Services, and Aftermarket Services. 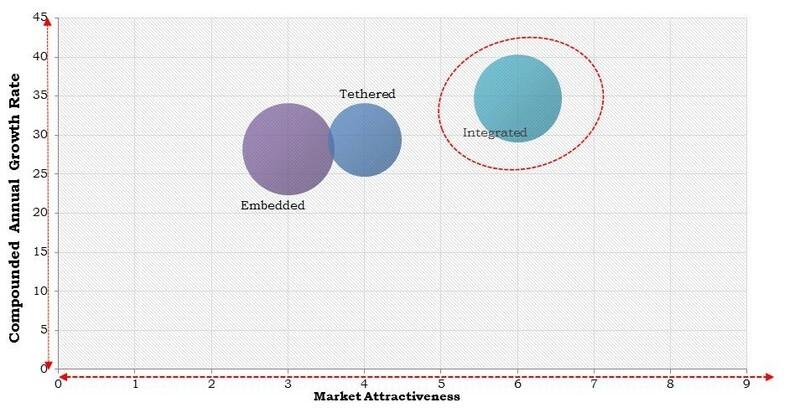 Based on Connectivity Solutions, the market report segments the market into Embedded, Integrated, and Tethered. Based on Application, the Connected Car market segments the market into Navigation, Telematics, and Infotainment. Based on Technology, the market report segments the market into 2G, 3G, and 4G & 5G. Based on Countries, the Connected Car market segments the market into Germany, UK, France, Russia, Spain, Italy, and Rest of Europe. The market research report covers the competition analysis of key stake holders of the Europe Connected Car Market. Key companies profiled in the report include Telefonica, S.A,Verizon Communications, Inc., Harman International Industries, Incorporated, TomTom NV, AT&T, Vodafone Group Plc., Ford Motor Company, Bayerische Motoren Werke AG, AUDI AG, and Daimler AG. TABLE 116 KEY INFORMATION - TELEFONICA, S.A.
TABLE 119 KEY INFORMATION - VERIZON COMMUNICATIONS INC.
TABLE 122 KEY INFORMATION – FORD MOTORS CO.
North America Connected Car Market The North America Connected Car Market would witness market growth of 29.9% CAGR during the forecast period (2017 – 2023). Global Connected Car Market The Global Connected Car Market size is expected to reach $256.2 billion by 2023, rising at a market growth of 31% CAGR during the forecast period. Europe Application Hosting Market The Europe Application Hosting Market would witness market growth of 10.5% CAGR during the forecast period (2017 – 2023). Hosted applications are remotely managed cloud infrastructures which are accessed from across the globe by being connected to the internet.